The Travelling Lindfields: 13 tips to make flying easier - or how to survive a long haul flight without going nuts! As a world expert I can tell you that if things are destined to go wrong on your flight no amount of preparation will help. Sometimes flights leave late, in-flight entertainment systems don't work, the food is inedible and the child in the seat behind you spends the entire time kicking the back of your seat. There is nothing you can do! Just remember your sanity is not like airline luggage, it is remarkably difficult to lose and chances are you will arrive with it intact. However over the years David and I have discovered that there are a few things you can do to make your journey easier and increase the chance that your next long haul flight won't be the one to finally turn you into a raving lunatic. For a small extra cost many airlines allow you to choose your seat when you book your flight. Do it! Trust me it is worth every cent. When you arrive at the airport and half the planet is in the check-in queue ahead of you you can be smug in the knowledge that your preferred seat, whether it be a window, aisle, up the front or up the back, will still be sitting there waiting for you. Needless to say the earlier you book the better your chances of getting what you want. There are only four economy seats on a Qantas A380 which David and I like to sit in and by booking early we always managed to get them. If you aren't sure which seats to choose take a look at Seat Guru. It isn't infallible but it can be helpful. Business Class in a QANTAS A330 - travelling up the front of the plane is a lot nicer if you can do it! There is a saying among cyclists - 'Lay all your gear out before you pack and then leave half of it behind, but make sure it is the right half'. I think that sums up my approach to packing. If I leave half my stuff behind it will always be the wrong half. So pack light enough that your bags won't be a burden but remember it isn't a competition. You don't get a prize for being able to fit everything you need in a carry-on the size of a small envelope. Have you noticed how many black bags there are on luggage carousels. Is there a rule somewhere which says you have to travel with a bag which is black and only black. Don't! It is no wonder luggage goes missing. No one can tell these bags apart. Half the passengers are going home with someone else's pile of washing. Travel with a brightly coloured bag, preferably one as ugly as possible, which no-one in their right minds will mistakenly think is theirs. David and I have matching bags in a beautiful purple. They are truly hideous but we never have to worry about someone else taking them home. If you do have a black bag, tie a bright scarf around the handles or stick coloured dots all over it to give it that 'one of a kind' character. If you are flying with an airline which allows you to check-in on the internet, do it - even if you have baggage. Trust me it makes life a lot easier once you arrive at the airport. You will usually need to print out your boarding pass. Most hotels have a way of doing this for you - just ask. However even if you don't have access to a printer, check-in online anyway. You can get a print out of your boarding pass at the airline check-in counter. Noise-cancelling headphones are expensive and I confess that I don't always carry a set but aeroplanes are noisy. If you want to be able to watch a movie and hear the soundtrack then noise cancelling headphones are almost essential. Economy class - no wonder people have been known to go crazy on long flights. Once upon a time every passenger on a long haul flight would get one of those little bags of goodies with an eye mask, toothbrush set and socks. If nothing else it kept us amused for a couple of seconds while we opened up the plastic. Nowadays these little airline giveaways are like a lucky dip - sometimes you get one and sometimes you don't. Don't risk your luck! Pack an eye mask. An eye mask is the single most useful item you can have with you on a long haul flight. Depending on the airline, check-in usually opens about three hours before departure. If you arrive earlier than this the counter may not be open, particularly if your airline has no other flights departing that day. For long haul international flights most people seem to arrive about two hours before departure. If you aim for two and a half hours you can often check-in before the crowds. If you are in economy don't risk cutting it shorter than this. Check-in, immigration, and airports generally, can be maddeningly slow places to navigate when you are cutting it fine. Refer back to rule 5. Look for the 'Bag Drop-off' counter. It will be the one with the shortest queue, often no-one at all. If you can't find the counter, ask, sometimes it doubles up with the Business Class counter. Checking in on the internet has saved David and I countless hours standing in airport queues. It constantly amazes me that more people don't do it. Don't make the mistake of thinking once you have checked in that the hassle is over. It might look like there is no queue for outward security and immigration but you never know until you get behind the barrier. It can be a war-zone back there! Honestly, I don't know if this works but it is worth a try. Most people are right handed which, apparently, causes them naturally to turn to the right if they have a choice. Turn to the left and you should always find yourself in the shorter queue. Alternatively, and I can guarantee this will work every time, if you happen to see David and I at the airport choose the other queue. We have a 100% success rate with picking the slowest queue. For the story of our three hour journey through the customs and quarantine queue in Auckland read my post on Life in the Slow Lane: Welcome to New Zealand. Premium Economy - it is more comfortable than economy and cheaper than business. All the hard work is now over. Sit back, relax, watch a movie, sleep as much as you can and keep telling yourself the flight can't last forever! David and I fly QANTAS whenever we can. QANTAS lets us pre-book our seats and check-in on the internet. Its A380s have a small section on the upper deck with some of the best economy seats in the skies. Check-in is always smooth and the staff are pleasant. Once in a while our loyalty waivers and we nearly always regret it. If you book a budget airline, expect a budget experience - fine for short flights but not so much fun when you are their captive for a long haul. Note: This is not a sponsored post. We have always paid our own way when flying. If you have any of your own suggestions on how to make flying easier I would love to hear about them. Please, leave me a comment. I love connecting with fellow travellers. I try to publish a new post each week, usually Thursday or Friday depending on your time zone. If you would like to follow our travels, check back each week or enter your email address in the 'Never miss a post: Follow by email' box in the right hand sidebar just below my profile picture. A lot of good advice. Your last item is the most important. The airline you pick can make or break your mood. Qantas over Jetstar any day of the week (unless the price differential is too much). Some routes you don't get a lot of choice. It isn't just comfort, sometimes it is where they fly to. David and I used to fly QANTAS to South America but next trip we are going to try Air New Zealand because QANTAS has stopped flying to Buenos Aires and we don't want to have to stop over in Santiago. Excellent advice Lyn. I agree with all. Most of all, enjoy the flight. You are enjoying someone SO convenient, what a blessing. Do not rue being able to circle the globe. As for the flight itself, save a little turbulence here and there or a BIG dip - which is super rare - it feels like riding a train. Haha - I get airsick so the turbulence is not a lot of fun for me! You have almost nothing to lose by trying it. That small economy section upstairs on the A380s is the best place on the plane. Not all airlines have it though. On some of the Middle Eastern airlines that is where the bar is. Haha - wouldn't a private jet be great. After a while you would probably get used to it though and go back to finding flying a hassle - lol! The world is divided into two types of people: those who always pick the slow queue and those who always pick the slow queue. No- that isn't a typo. I don't think there is ever a fast queue. I have certainly never seen one. Great post Lyn and picked up a few tips for our next flight. Thanks. I envy you having the QANTAS Dreamliner non-stop service to London starting up soon. If David and I lived in Perth he would be one of the first to reserve a seat. Quantas is such a nice airline, so you are lucky. I have done the booking aisle and window seat too. It really makes a huge difference to have that extra space! Thanks for sharing on #TheWeeklyPostcard. I am glad to hear that David and I are not the only people out there trying to game the system. Good tips, especially number 4. On our last trip we ran into a family that was checking into the hotel (an hour and a half from the airport), and trying to arrange for a taxi to go back to the airport to return a bag that the daughter had mistakenly grabbed thinking it was hers. This was at 2:30 at night! Can you imagine? Of course, it was a black bag. Thanks for sharing with the #wkendtravelinspiration! My son took the wrong bag from a carousel, accidentally, in Amsterdam once and returning it to its rightful owner started a chain of events which took a huge toll on him. We also have friends who ended up in London with some fitness guy's set of weights instead of my friend's jewellery. Her husband had grabbed the wrong cabin baggage from the over head locker. She got the jewellery back eventually but it took months and a lot of organising. I will read your article now. 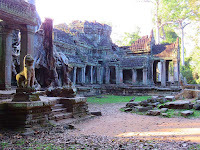 David and I began travelling with our first son when he was six months old and we were travelling with our younger son well into his early twenties so I have loads of experience of and funny stories about travelling with kids. Great tips, Lyn! Having just survived 25 hours of flying time from the US to Seoul, I can agree with all of these. Unfortunately, I forgot the eye mask and really missed it. But we were lucky on getting an aisle and window with an empty middle seat so that worked out for us! An empty seat in the middle on a long haul flight is like striking gold. David and I like to sit together so the two aisle seats thing doesn't really work for us. We came back from New Zealand recently on an almost full plane. There were only a handful of vacant seats and we managed to score one of them between us - but we aren't always that lucky. I will be fascinated to hear if the left hand queue trick works. I intend to try it myself. Of course, if this post goes viral (which is highly unlikely) everyone will be in the left hand queues and we will have to switch back to choosing the right hand queue. You didn't mention a cost for pre-booking seats on Quantas. We also pre-book seats on British Air (even in Business Class) but we pay the price for doing so. It is like buying a ticket, then buying your seat. We paid a whopping amount to sit in the last row of the economy section (to avoid that middle seat) and were next to the galley and the toilets, but still better than the crammed rows in front of us. 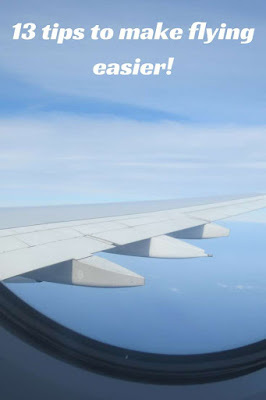 Good tips for those of us who spend time on long flights. I believe that British Airways charge a lot more for the privilege of pre-booking seats than QANTAS does. 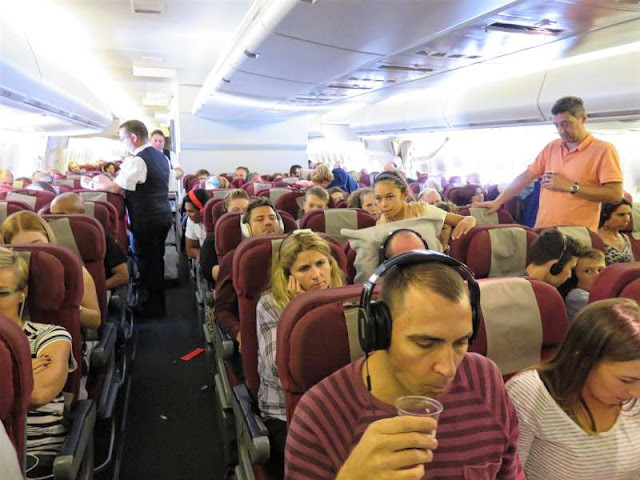 We have friends who flew to Europe from Sydney on British Airways in premium economy. They didn't pre-book because it was so expensive and they ended up sitting in the two middle seats in a row of four with some sort of obstruction on the floor which meant they couldn't stretch their legs out. We have always found QANTAS to be quite reasonable in what it charges to pre-book. All good tips, Lyn, especially the last one...and of course, planning far enough ahead to score good seats (and sometimes, a good price for business class seating)! Absolutely. David has been known to book seats the day the flight becomes available - usually a year beforehand. Sometimes my head spins with how many holidays he has planned and booked ahead. All great tips! Here's another: you'll feel the turbulence less if you sit over the wings. I have read that. I get airsick but not usually on the very large planes which fly from Australia. I carry airsickness pills and if there is any chance of turbulence I take them. They tend to make me sleepy but that is hardly a problem on long haul flights. What a great set of tips! Especially using the left-hand queue! I am going to conduct a scientific test with a random group of two people (me and David) next time we fly and see if this works. I'll report back. Such great tips, especially the last one! My motto is always "you get what you pay for" - I refuse to buy a $40 ticket only to be nickel and dimed at the check-in counter! Yes - sometimes by the time you add all the extras you might as well have gone with a full service airline. Number 11 is a new one for me. But I'll definitely try it. Totally agree with all your recommendations and I think the one about the black bag is SO true. Too many people have black bags. The uglier the better. 'The uglier the better' - I love that phrase. Maybe I should make that my personal travelling motto - lol! Hi Toni, We have flown Air New Zealand a couple of times to N.Z and always been happy with them. We haven't been to Asia, except Singapore, for a while. 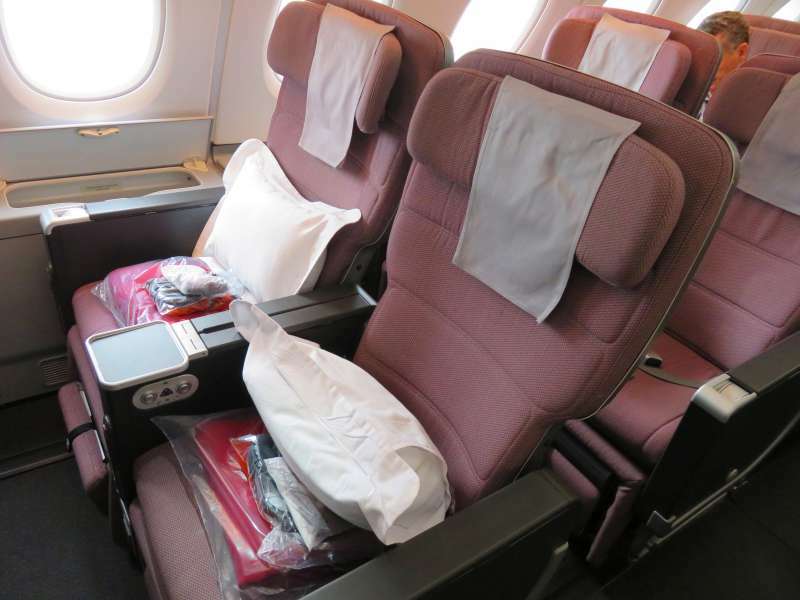 We used to live in Hong Kong and boarding the QANTAS plane was like coming home. This was in the days before the internet when we were excited to have yesterday's Sydney Morning Herald handed to us. We are headed to Cambodia and Vietnam early next year but I honestly can't remember who David booked with. 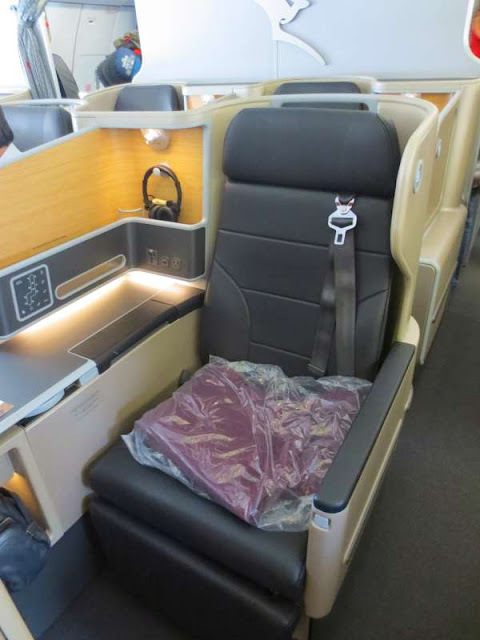 QANTAS have just begun taking bookings for their new Dreamliner service from London to Perth so if you fly that route again you should find it very swish. Though I've heard many of these flight suggestions before, it never hurts to have my memory refreshed. I know what you mean. It is easy to read a tip, think it might be useful, then completely forget about it when it would be most useful. Great tips Lynn. I especially liked your Murphy's Law sense of humor: for example, whichever line we select to stand in will invariably be the slowest one, someone will always arrive to sit in the middle seat and there will be a kid behind us either kicking or crying! It seems a lifetime ago when flying used to be a fun adventure! It is still fun, provided you can keep your sense of humour - lol! All good tips, especially the one about not arriving too early. 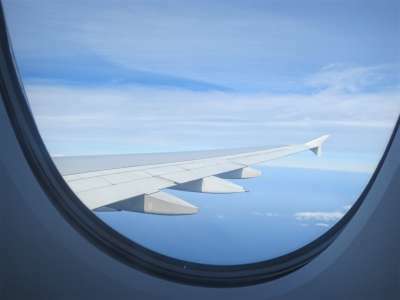 Most airlines say arrive at least three hours before your flight but quite often you're left hanging around if you are there more than 3 hours beforehand. I tend to arrive super-early because I am the sort who always thinks something will go wrong getting to the airport. Also if you are flying long haul you absolutely don't want to miss your flight. There might not be another one you can get on for days and it could cost you a fortune. That said, arriving before the check-in desk opens is a real pain, especially if you have lots of luggage. Flying is such a hassle now. Those are great tips. Some airlines don't let you book seats right away unless you pay an exorbitant fee. I tried to book seats on through the third party seller on my recent flights from US to Australia -- at the end they tried to charge me $800+! And they were still economy-type seats! Needless to say, I cancelled out and went right to the airline website. I would always recommend booking directly with the airline. We had to throw away tickets for a flight from Lima to Santiago once because David got the date wrong - very unusual for him. In theory we should have been able to get a refund of the taxes but we had booked through Expedia and they were so unhelpful we finally just gave up. Great tips. Although I practice a few of these myself, there are some very helpful ones I've never thought of. I will definitely use some of these for our next long haul flight in October. I've had the pleasure of flying Qantas twice from LA- once to Melbourne and once to Sydney. Far and away the best flights I have ever taken. That is nice to hear - about QANTAS I mean. I enjoyed -- and learned a lot -- from your tips!! 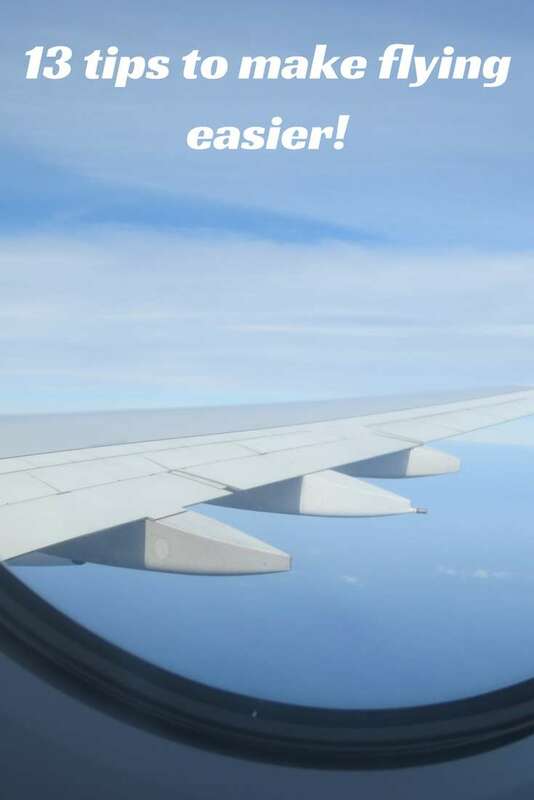 Any air travel can be a hassle if you don't have a plan! Even with a plan it can be a hassle but then I used to travel with small children - now that was a hassle. Compared to those days flying is a piece of cake. Thanks for the great tips! Many of them I've been practising for years, especially the pack light advice is key!! I wish I could pack light but it is something I have never mastered - one day perhaps. These are all such great and handy tips. I like the one of the spare middle seat. We'll need to try it when not traveling with the kids. We don't have black luggages but notice that too. We've done some of these and thankfully have learned to pack light. I've only flown Qantas once and had a great experience. Frankly, as long any non-US airline is way better these days. In the last few years we have had reasonably good experiences on U.S airlines but only on short flights and nothing has gone wrong so they haven't had a chance to stuff things up. Love the point about the black bag. I totally agree....no one wants an ugly bag. And no one will ever mistake it for theirs.